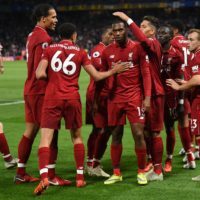 The world of soccer cleats continues to head down a road that tilts towards the brightest colors, incredible technologies, and silhouettes that we would have never anticipated to be associated with genuine performance footwear. 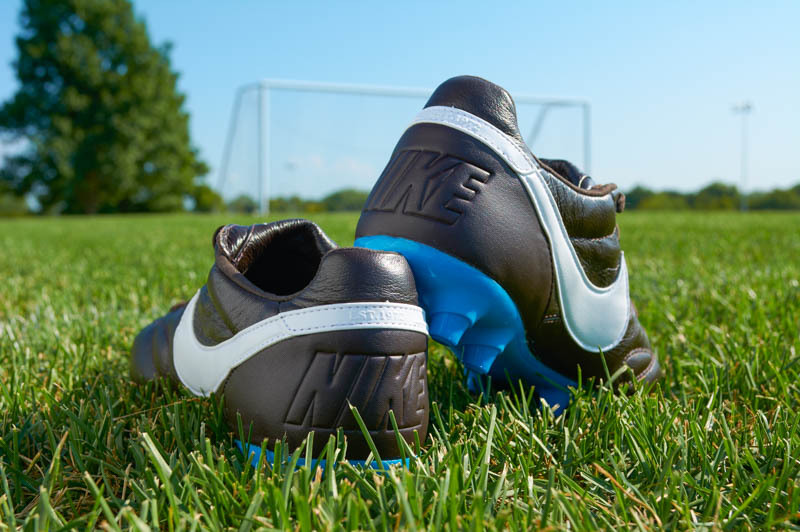 However, there are still a few blips on the radar for those keeping their eyes out for more classic options, and few have been better in the last decade than the Nike Premier. So, it makes sense that a new incarnation of the Premier would be an even more incredible offering than the first. What could possibly go wrong with draping a quality leather over a simple build and giving the world a type of option that appears to be going extinct? Nike certainly hasn’t been giving the Premier II any form of top billing during the last few months but we’re here to shine a little bit of light on the member of Nike’s stable that seems a bit more comfortable living behind the scenes. The Premier II is ready for its moment, and we’re ready to simply rush the stage. The last Premier had a few limited edition colorways but it didn’t need extravagant trappings to win over anybody that gave it a chance. One of the biggest changes to the new Premier is an obvious change in the stitch pattern, a slight shift in the shape of the boot, and a new fold-over tongue. The soleplate looks relatively unchanged, but we’ll talk a little bit more about that when we get to the performance section of the boot. While it’s such a basic set-up with the Premier II, there have been quite a few colorways that would have caught anybody’s attention and met the desires of a variety of tastes. The two most recent were absolutely gorgeous with the Raised on Concrete pack and the homage to the Euro 2008 colorway. The Premier II has every type of colorway any player would be looking for, and they all look great. There’s even a completely blacked out version and basically all in all, there’s sweet leathery goodness in an array of packages for any player to enjoy. However, let’s be honest, you aren’t buying these bad boys for them to leap out of the box and sear your retinas, you’re looking for your leathery lynx to be buttery soft, and no colorway will change that. After testing the original Premier, the bar for what the sequel had on offer was fairly high. If Nike had changed too much and ruined a simple (but incredible) situation with this newest Premier II, then Nike’s best budget option would have been sent straight down the tube. Considering that Nike could have just slapped a new name, changed a few colors, and it still would have been the best priced boot option on the market, we were quite curious to see what this boot has on offer. 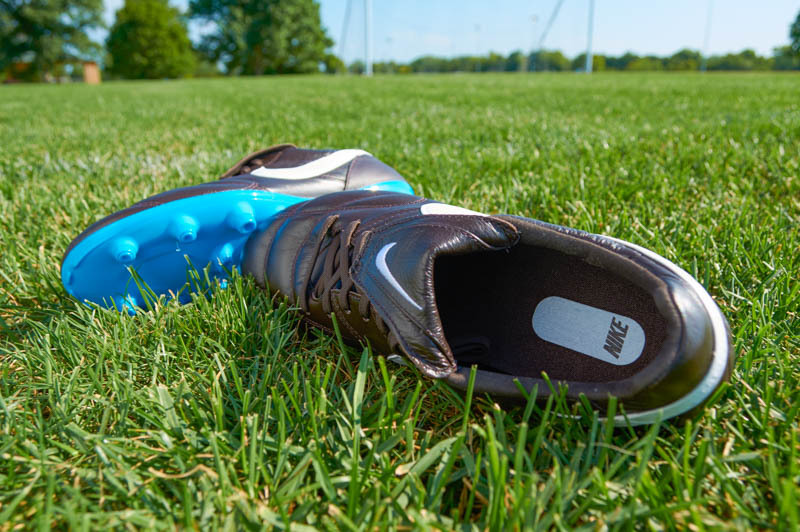 After the boot breaks in, you immediately realize that the kangaroo leather on this boot has that glorious leather padding that players are always hunting for. Practically everything outside of a stomp from that last defender you skinned will feel fantastic. 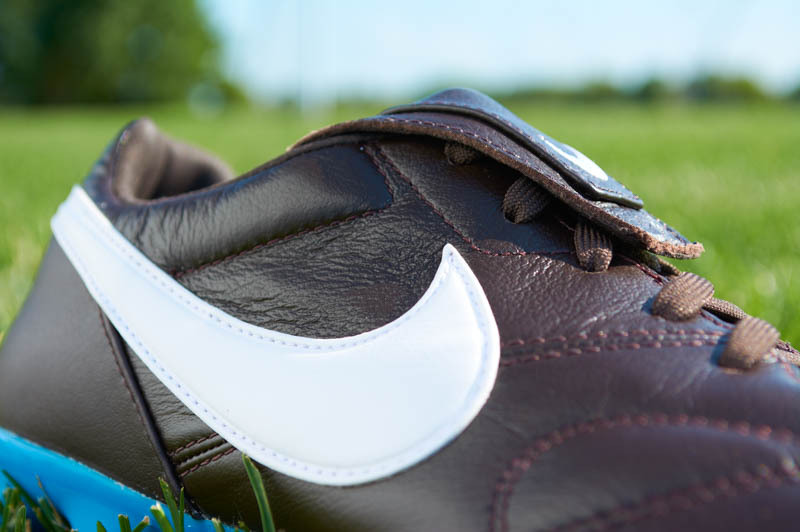 The leather helps cushion the ball whenever you receive a pass or bring a ball out of the air. With the way the world hunts down some of the thinnest materials brands can find, it’s always fun to see how different addressing the ball is when you place some majestically thin goose-down pillows on your feet, in summary: it’s glorious. When you get the ball at your feet, the Premier II successfully avoids the one pitfall that high quality leathers can encounter: dampening your touch on the ball. Dribbling at pace is soft, but you never lose track of the ball or feel like it gets stuck underneath you. The shape of the Premier II is symmetrical, so the feel on the ball is uniform whether dribbling with the instep or outside of the boot. Shooting or launching the ball across the field feels amazing as the padding really shines. The warm sensation that makes any blast through the back of the ball feel complete is ever-present with the Premier II. The fold-over tongue never gets in the way or negatively impacts your strike, and the padding across the top of the boot helps everything feel uniform. 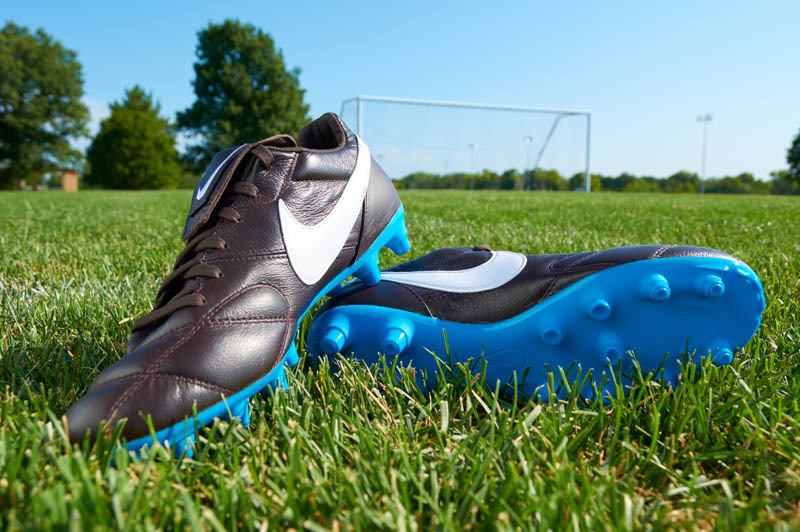 If you haven’t had a proper shooting session with a top-notch leather boot, then the Nike Premier II is going to introduce you to a whole new world, complete with Aladdin songs and fanfare. The soleplate is responsive and dependable. Exactly what this type of boot demands, and the perfect foundation to let it shine. The studs under your foot aren’t going to break any world records for ingenuity, but that isn’t what was needed with the Premier II. The expectation for a kangaroo leather option is for the comfort to sit high up in the stratosphere. Even with this price point, we were expecting to have a fairly smooth ride. If the Premier II reached the end of a few sessions without feeling like a pair of slippers, then it would be a big win for Copa fans everywhere and an easy decision to avoid Nike’s leather budget option. Out of the box, these shoes might be incredibly soft in your hands, but it will take a few break-ins before it moves around your foot. The stitching utilized with the Premier II is purposefully chosen to make sure that when the leather starts to soften and stretch, it doesn’t get to the point where it’s too loose on your foot and negatively impacts your time on the ball and, boy, does the Premier II soften up. However, all of those areas that are stitched are going to feel tight for the first few wears. Then, almost passing through as a perfect moment, the boot embraces the kangaroo leather build. There’s a perfect padded thickness to the boot that practically snuggles your feet once the boots are all laced up. There’s a line of padding on the tongue to stop lace-bite, and the heel also helps craft the whole kangaroo concoction into a perfect stack of silk sheets that might have you checking to see if Nike makes a reclining chair. The soleplate is a perfectly blended mix between rigid and flexible, and it reminds you of boots of old minus the heft and with a more modern plastic that helps aid in the break-in product. 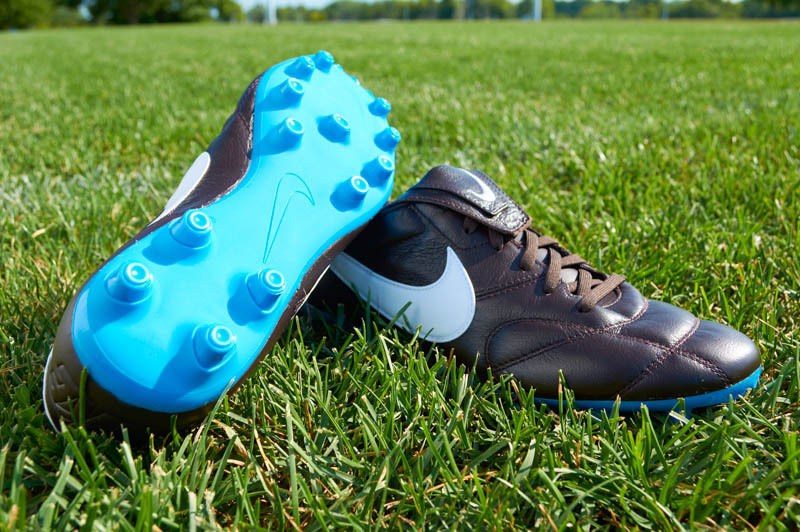 The studs are perfectly balanced and their conical nature makes for consistent traction. In fact, it’s something that might even survive on all types of surfaces. For sizing on the Premier, I would actually suggest bumping a slight bit up by going up half a size and keeping in mind that this boot is rather narrow. The leather will definitely soften up over your break-in, but not enough to have you ordering your normal size unless your normal size already had a fair bit of room. Out of every boot on the market, the Premier II is the absolute definition of “bang for your buck.” Priced at under 100 bucks for melt in your hands kangaroo leather, a quality soleplate, and a level of durability that, with the right care, could easily last multiple seasons. It’s the easiest decision your wallet has ever had to make. You don’t get anything extra in the box, but you shouldn’t really be expecting miracles at this price point besides, you’re already getting a miracle with the boots that will be showing up on your doorstep. No matter whether you’ve been shopping for the upper echelon of boots or trying to find a third or fourth tier option, the Premier II stacks up with any of the best in terms of quality (it crushes the lower tier options) and dominates the best boots on the market in terms of cost. Win-win. 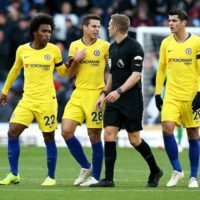 While David Luiz is enjoying the original Premier while he holds the defense steady for Chelsea, there aren’t a massive wealth of players at the professional level enjoying the Premier II. 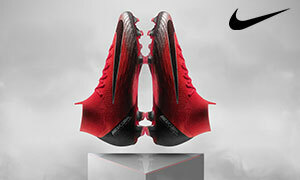 Believe me when I say that the reason isn’t because the boot isn’t worth their time, but probably because Nike isn’t willing to spend any of their marketing money on the Premier II. If players actually chose what they wore, we feel fairly confident that the Premier II would have multiple homes within the professional ranks. If you are not dealing with a narrow foot and you enjoy extreme comfort/soft leather, then there’s no better deal on the market right now. 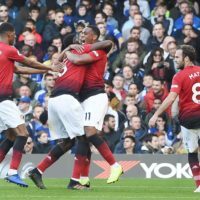 While there are a few boots within the boot world that might be more intriguing, there is not a single boot on the market that can claim to being worth every penny that you’d pay for it but the Premier II can make that claim boldly and without hesitation. Whether hunting for dependability, quality, or maybe a boot to always have on standby in your boot bag, the Premier II is perfect. The only regret you can have with the Premier II is that you haven’t been wise to it’s awesomeness all this time. This shoe is a worthy successor to the Premier, you should definitely grab a pair today!